Analysis: The Biggest Deals of 2019 By Women-led Ventures Land Outside The U.S. In honor of International Women’s Day, we analyzed the biggest deals that female-led companies scored so far in 2019. We didn’t plan on leaving out the United States, but it turns out that the top deals were actually scored by international ventures (which was equally interesting to us). 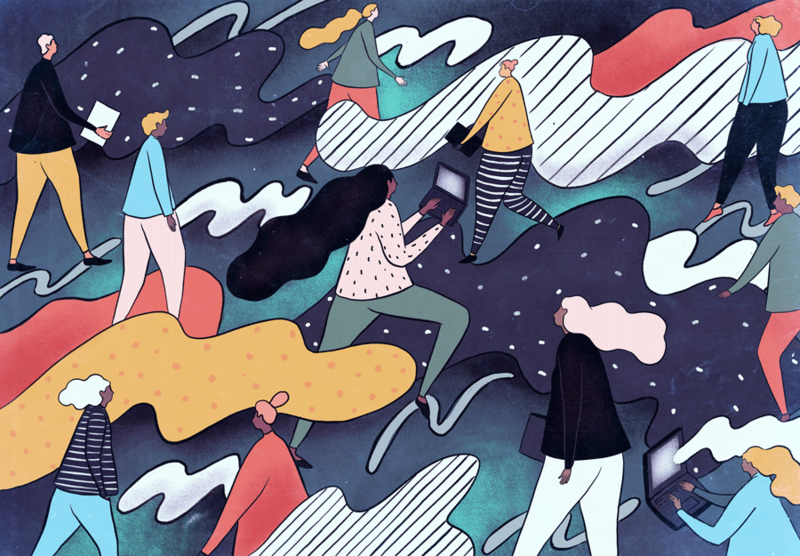 From Finland to Singapore to China, we found over $8 billion in funding has gone to women-led companies in 2019 so far. Even though we’re seeing billions being invested into companies with female founders or co-founders, it’s worth noting that those totals pale in comparison to funding totals for startups with only male founders. And while there is more to come on that note, let’s first highlight the top five women-led companies that have raised so far this year. RELEX Solutions, a Finish supply chain optimization company, scored $200 million dollars in investment from Bay Area’s Technology Crossover Ventures (TCV), showing that women-led companies can compete for cash in high tech, STEM fields. Johanna Småros, one of the company’s three founders, told Crunchbase News that her company began with a focus on automatic store replenishment. She said she wanted to take the “hands off” of filling shelves, restocking items and taking inventory. It then grew to cover the entire supply chain process, including workforce optimization. TCV’s vote of confidence in the company emphasizes how the retail market is evolving, as retailers have to operate an online-digital world and competition continues to stiffen. “Because that’s basically what TCV does…they look for business areas ripe for change, and as we all know, a lot of things are going on in retail in the moment,” Smaros told me on a call in her office from Finland. Zilingo, a Singapore-based fashion company, landed $226 million in February in a round led by Sequoia Capital. The deal brought Zilingo’s total funding to $308 million, the company said. Especially noteworthy is the fact that company founder Ankiti Bose, who used to work for Sequoia India, is the first Indian woman founder-CEO of a unicorn, according to the Times of India. Since starting in Singapore, the company has expanded to Indonesia, Thailand, Philippines, India, Hong Kong, Australia, and the United States. Zilingo is currently working diligently on its expansion in the Philippines and Australia, Bose told me. Additionally, it is investing in the “infrastructure and technology” needed to “digitise the fashion and beauty supply chain,” she said. Shanghai’s DaDa, led by co-founders Hui Zhi and Dennis Lee, is an e-tutoring for English that raised $255 million in a Series D led by Warburg Pincus. Fellow unicorn Beijing-based Horizon Robotics, a Chinese AI semiconductor valued at up to $3 billion, also scored a Series B round of $600 million last month. Two of the company’s co-founders are women: Annie Tao and Fang Yi. The Horizon Robotics round was led by SK China, SK Hynix, and several other automotive groups. While technically a Series B, the round was large enough to constitute several Series B-focused funds, as we reported in February. Finally, we look at a company we’ve written about extensively and tops the list with the largest cash infusion: Grab. The company was responsible for three of the biggest funding rounds for female-led companies so far this year. In fact, this week the Singapore-based ride-hailing company scored $1.46 billion from SoftBank Vision Fund. As far as our home turf—we did see some impressive capital this year. Top deals scored for U.S.-based companies with female leadership include Confluent, which raised a Series D of $125 million from Sequoia Capital, and Andela, which raised a Series D (the same day) of $100 million, led by Generation Investment Management. From the venture capitalist perspective, this has always been a challenge. Finding the investors who want to back “underserved” founders is hard, said Amy Francetic, the managing director of Energize Ventures. On a personal level, Francetic said her biggest allies when starting her own firm were the backers who loved the idea of a female-led, midwest, energy fund. These were selling points, not dealbreakers, she said. Interestingly, it helped that her fund was in Chicago instead of Silicon Valley. “We were outside the echo-chamber… we can provide a level of rationality that isn’t heavily influenced by the community of folks over there,” she said. Their fund is actively looking for female-led companies to invest in within the energy space. And by “actively looking” I mean that Amy said if you’re reading this and fit that definition, e-mail her. To circle back to Backstage Capital’s Arlan Hamilton’s podcast, Hamilton believes that people who have perfectly good ideas aren’t getting funded because they don’t look like Mark Zuckerberg. These underestimated founders, Hamilton said, will bring big returns. Thankfully, some investors agree. Editorial update: A previous version of this article incorrectly stated that ImpactAlpha raised $100 million. The reference has been removed.